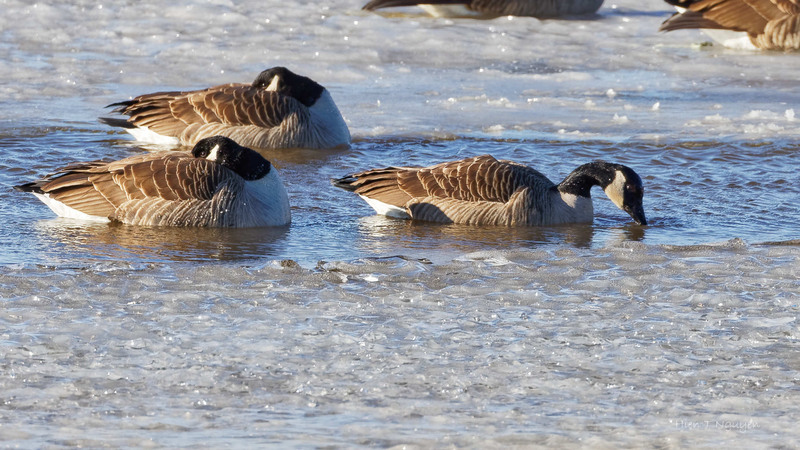 Canada Geese are always present in our area, even in the deep of winter. 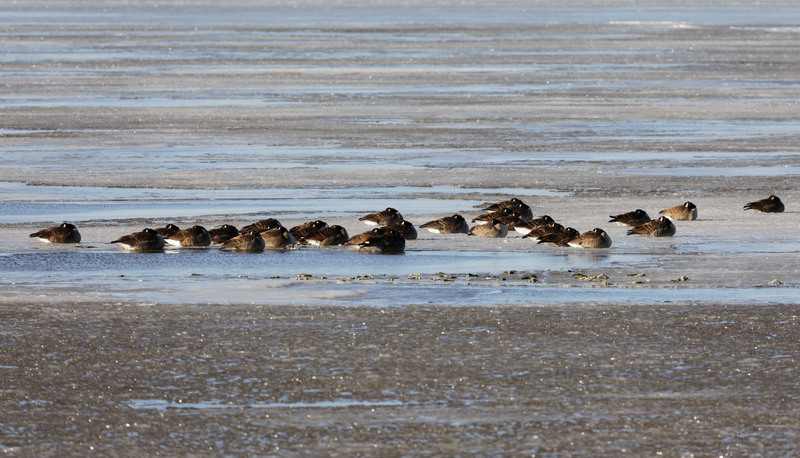 I found a group of them sleeping on ice at the EBF refuge, with temperatures in the teens (-10°C) during the day and even colder at night. Some, however, were not sleeping and were already dabbling for food in a patch of water. Canada Goose dabbling. Note the open eyes of the two other geese next to it. This brought back a sad memory from long ago. It was a reservoir or lake somewhere in north central New Jersey, so not so far from you. A mallard had its wing frozen into the ice. It must have happened as it slept overnight, and when I saw it, the bird was struggling in vain to get away, but the wing was stuck in the ice, so it couldn’t do anything but flap the other wing. I don’t know what ever happened to it, and it was too far away for me to help. Hopefully the ice thawed before the poor duck starved. The perils of being wild! You are brave going out there in these cold temperatures to capture pictures of wildlife! I hope these guys find the food they need. Last night/this morning our temperatures went briefly below freezing…first time in my 11 years here. Wow, below freezing in Florida! I hope all the fruit and other crops were not too badly affected. Lovely photos! 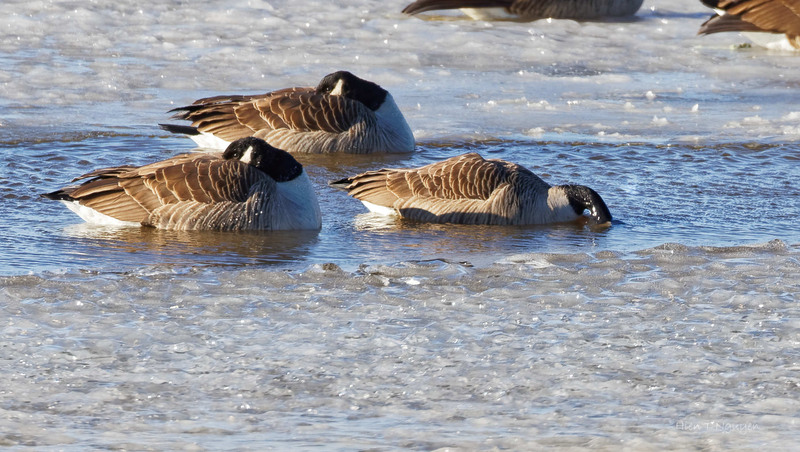 I wish that I could stay as warm in the cold weather as the geese can. Me too, Jerry. The cold and wind that came through the car window were merciless. I had to take a shot, close the window, wait a while before taking another shot. Not many pictures taken that day, of course. Anh Hien, You are “Crazy”. I love the peek-a-boo geese. Always making sure they’re not missing something. lol Great shots, Hien!